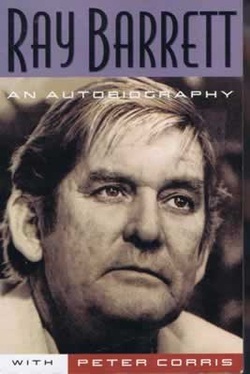 Veteran Actor Ray Barrett has passed away aged 82. All the news media have mentioned his Television and Movie credits and surprisingly they also mentioned his Supermarianation voice over credits. But here we will go further back into Ray's career and mention his radio credits. It was his radio skills that led to the rest. Ray Barrett was a talented Radio Actor and great with voices. The night before he passed away, I was listening to his starring performance in an episode of Carter Brown Mystery Theatre, called Swimsuit Sweetheart. 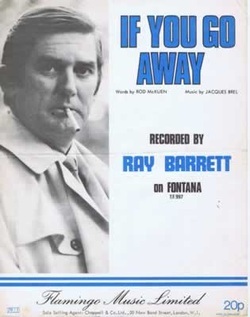 In fact it would be difficult to listen to episodes of popular Australian Radio Shows without hearing Ray Barrett. Ray started his radio career at 4BH Brisbane as office boy at age 15. At 16 he was given the opportunity of taking over the Midday to 2.00pm shift playing 78rpm records and reading the advertising copy. He then moved to the breakfast 6.00am to 9.00am session. During WWII he was doing both sessions and Sunday afternoon 'Smokes for sick Soldiers'. recordings survive. Only the scripts show that the broadcasts ever existed. Ray was then offered a one year contract working exclusively for the ABC as an actor and was the first to be hired in this way. After 4 years Ray was once again thinking of making the move to Sydney when Walter Pym offered him the lead in a Caltex Theatre Production if he could possibly go down to Sydney. 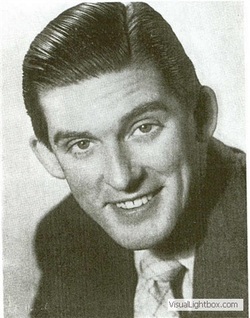 Ray Barrett's move to Sydney was successful, with him walking straight into leading parts in Lux Radio Theatre and also Caltex Playhouse. Thomas), That Strong Guy, We're Asking You (Presenter), White Rabbit. Many of those series were 5 days a week and lead roles, yes, the 5 episodes were often recorded in the one session. to England in 1958 to fame and fortune on Television and you really start understanding where he honed his talent for voices and roles. It is an amazing amount of work in such a short period of time in Sydney. I would be remiss if I didn't mention that Ray Barrett didn't arrive in 4BH as an Office Boy at age 15 without a previous History. Ray had the support of his family, they all sang together and Ray's big break into 4BH came from winning the local Eisteddfod. He also had elocution lessons and took part in community singing radio sessions. Even during his busy period in Sydney he was 'treading the boards'. In England he even made a hit record . radio shows and appreciate the entertainment he has given over a long career. explanation of how serials were made and the relationships with Directors and Producers as well as with other actors. It is a good read.